Even if the police report clearly assigned fault to one party or the other, nearly all car crashes involve complicated liability issues. Primarily, that’s because the accident report is nearly always either incomplete and/or inaccurate, because first responders do not explore all available evidence around the scene, such surveillance video, and the reporting officer often only hears one side of the story, since the victim is dead or too seriously injured to give a statement. Negligence is basically a tortfeasor’s (negligent driver’s) failure to use ordinary care in a given activity. In car crash cases, that level of care is the amount of care ascribed to a reasonable person. In a nutshell, reasonable drivers obey “the rules of the road,” they are sober, they concentrate on driving, they are well-rested, and so on. All of us fall short of that standard at one time or another. For example, we may take a hand off the wheel to adjust the air conditioner or we may think about what awaits us at our destination as opposed to the traffic around us. It’s up to a jury to decide what constitutes a one-time lapse and what constitutes negligence. Said violation substantially caused the victim’s damages. So, if the tortfeasor ran a stop sign, and in so doing collided with the victim, the tortfeasor is automatically responsible for damages. In some cases, negligence per se may only serve as a presumption instead of absolute proof. 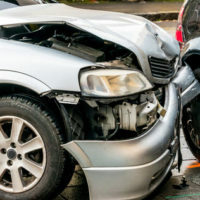 Typically, to reduce or deny compensation to the victim, the insurance company tries to shift as much blame as possible onto the victim, by using the contributory negligence rule. Defense lawyers try to use this doctrine in almost every case. First, as a preliminary matter, the judge must determine that the victim was in fact contributorily negligent, in a legal sense. As discussed in a previous post, imperfect drivers aren’t necessarily negligent drivers because people can make mistakes that have no bearing on a given car crash. If the judge does determine that both parties were negligent and the jury divides fault between them, the victim always receives a proportional share of damages, because Florida is a pure comparative fault state. So, even if the victim was 90 percent negligent, the tortfeasor must still pay 10 percent of the damages. The best way to approach a contributory negligence defense is an assertive stance in the pretrial motion hearing, because if the judge does not find any negligence on behalf of the victim, the defense automatically fails. Car crash victims are usually entitled to substantial compensation. For a free consultation with an experienced personal injury attorney in Port St. Lucie, contact Eighmie Law Firm, P.A. We routinely handle cases throughout the Treasure Coast area.